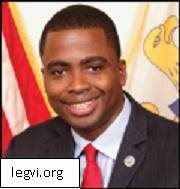 On November 8, 2012, the US Attorney’s Office for the District of the Virgin Islands announced that Senator Alvin Williams, Jr. was indicted for working with others to engage in bribery, mail fraud, and wire fraud. Two legislative members, Garry Sprauve and Kim Blackett, were indicted as well. Williams gave the commissioner of the Virgin Islands Department of Public Works a bribe of $10,000 on September 5, 2009 to grant work by Ace Development Inc in the future. Williams had interest in the company. Williams gave bribes to developers for the Raphune Vista housing project in St. Thomas from February 21, 2007 to November 8, 2011. He also promoted legislation for the developers so Ace Development Inc could provide rented equipment to the developers. Williams received a bribe of $10,000 for supporting legislation for the Tutu Park wind turbine project from September 1, 2008 to September 31, 2008. He is suspected of receiving $25,000 on September 22, 2008 as well. From 2006 to December 2011, Williams and other staff members were suspected of taking campaign contributions and using the funds for personal expenditures. He accepted bribes from September 2010 to July 28, 2011 for increasing the salaries of staff members as well. Lastly, Williams and other staff members are suspected of engaging in wire fraud so Williams could pursue online degrees from the University of Phoenix. The defendants reportedly defrauded the Virgin Islands government to use public funding for the non-legislative education. Williams faces up to 20 years in prison and fines up to $250,000. The indictment is asking for $1,129,365.76 in restitution.